Summer Internships provide an opportunity for students to apply the academic knowledge they gain at the institute to practical, real- world situations. 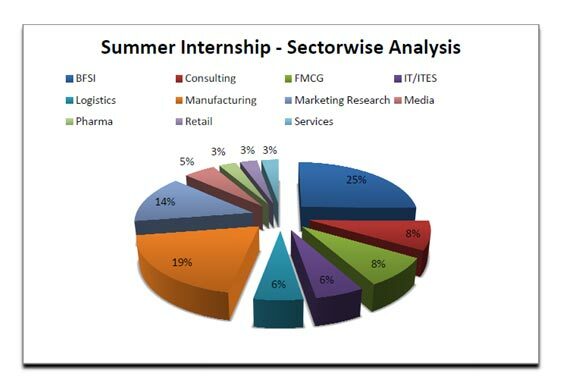 65 companies took part in our Summer Internship Process which saw 53% new recruiters, with prominent names like Goldman Sachs, Fidelity, emami, United Spirits Limited, Vivanta by Taj, etc. The major past recruiters like J.P.Morgan, Dell, United Biscuits, Bank of Baroda, L&T, Schneider Electric, Genpact, etc. have continued to exhibit their faith by hiring in good numbers. Dell Deutsche Bank Edumentor `Emami Ltd.